5.5 million homes were purchased in 2018. The market continues to remain a seller’s market, but slowly the market is tipping in favor of buyers. This is great news for homebuyers, but homebuyers still need to be on alert throughout the entire home buying process to ensure they are getting the best house possible for the best price. Homebuyers need to know all the things to look for when buying a house. One such homebuying element to be in tune with is the home inspection. Every great realtor will suggest a home inspection simply because some of a home’s most expensive components lie beneath the surface. It’s also useful for a buyer to know exactly how much each fix on the inspection report may cost by researching and getting quotes from a contractor. Red flags to look for on an inspection report are high ticket items and items the inspector has marked as safety hazards. How do you know which items are expensive fixes and which aren’t? Read on to learn about things to look for when buying a house which could result in costly repairs. The home buying process is complicated. From paperwork to pricing to home inspection reports, there’s a lot to keep in the know about. Explore the following expensive repairs to look for when purchasing a home so that you can make the best purchase possible. DIY articles are plentiful on the internet and while these tips work to make a home look beautiful they also could be covering up or causing problems. When professional companies are hired to do work on a home, they are obligated to follow building codes and proper procedures. Amateurs are not required to do so and simply may not know exactly how to get the job done right. To spot amateur handy work, look for mismatched materials and missing components such as flashing. A home inspector, however, will be able to identify amateur handy work completed within in the home such as improper electrical work, structural “fixes,” and amateur roofing jobs. Even though amateur handy homeowners may feel like they are fixing the problem, most of the time they are simply putting a band-aid on the problem causing you to fix the root of the problem later down the road. Water damage can be easily disguised by a fresh paint job, but when an inspector takes a look at the internal elements of a home it’s likely the water damage will be discovered. Water damage could signal the need for a new roof, additional ventilation, and if severe enough, a need for structural work. Untreated and neglected water damage can wreak havoc in an attic causing structural beams to warped and deteriorate. Not only will these structural issues need to be fixed, but the homeowner or buyer will also need to pay a structural engineer to assess the damage and then make recommendations. Damaged or blocked sewer lines are even difficult for an inspector to accurately identify because of the location and size of the sewer lines. Inspectors are able to crawl under and in tight spaces, but some places they simply can’t reach. Inspectors also run water while completing their inspection, but this doesn’t guarantee that the sewer lines won’t present an issue later on. To accurately assess the sewer lines, ask an inspector if they can use a camera scope to look at the condition of the sewer lines. While this isn’t included in a standard home inspection, some inspectors may have this technology and charge an additional fee. Replacing a roof is one of the most costly expenses a homeowner will complete. The average cost of a complete roof repair in the U.S. is $7,527. However, the typical range is anywhere from $5,132 to $10,024. Since the roof is such a vital component of a home protecting its structural and interior integrity, it’s a repair that shouldn’t be overlooked. A roof needing to be replaced may also be an indication that interior problems could also be an issue adding to the cost of total repairs needed. If an inspector does suggest a roof repair, consider asking the homeowner to fix it in your purchase agreement. Home inspectors assess air conditioner and furnace units, but their scope of accuracy only goes so far. They can test the equipment while they’re in the home, provide an age of each unit, and identify installation and functioning issues on the unit. But, they can’t guarantee that the units will function properly when under stress. If the HVAC units are 15 years or older, consider asking the seller to replace them during negotiations. They may deny your request since the units are still in working order, but it never hurts to ask. Especially, since replacing each unit could cost you thousands of dollars. A yard sloping towards a home could indicate big problems in the future if it’s not corrected. A slope angled towards the home means water is able to collect near the foundation and crawl space. The added stress of pooling water could cause the foundation to crack allowing water into the crawl space which could damage the floor joists and other internal components. Since there are building codes dedicated to acceptable sloping grading, the average cost to properly fix a sloping yard by a professional could be between $1,000 and $6,000 dollars. To fix a sloping yard a professional may need to remove trees, bushes, and add in topsoil to level the yard up to code. It’s always a disappointment when a large repair is flagged on a home inspection report. 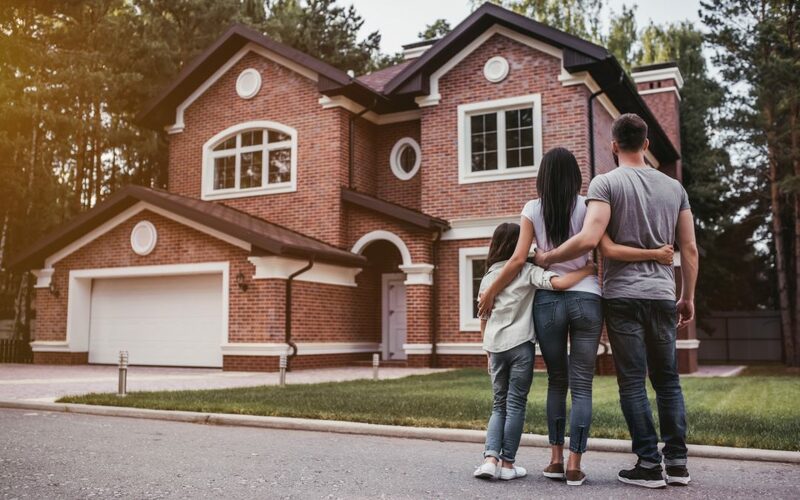 But, knowing the things to look for when buying a house can help you to protect your finances and home leaving you with greater peace of mind. If any large repairs are identified, speak with your realtor and see if asking for these repairs to be completed makes sense for you. Unfortunately, in some cases, a long list of repairs could also mean the home is a money pit and also not worth the investment. Always consult a realtor and when appropriate ask to receive quotes for the repairs needed. Whether you’re a seller or a buyer, a home inspection can help you to identify major issues and repairs that need to be completed. If you live in the Northeast Ohio area and would like a quality home inspection, schedule an appointment with CLASS Home Inspection today.